Friday night publicly funded station KXT 91.7 pulled together an eclectic group of musicians for the first annual Happy Funtime Fest. 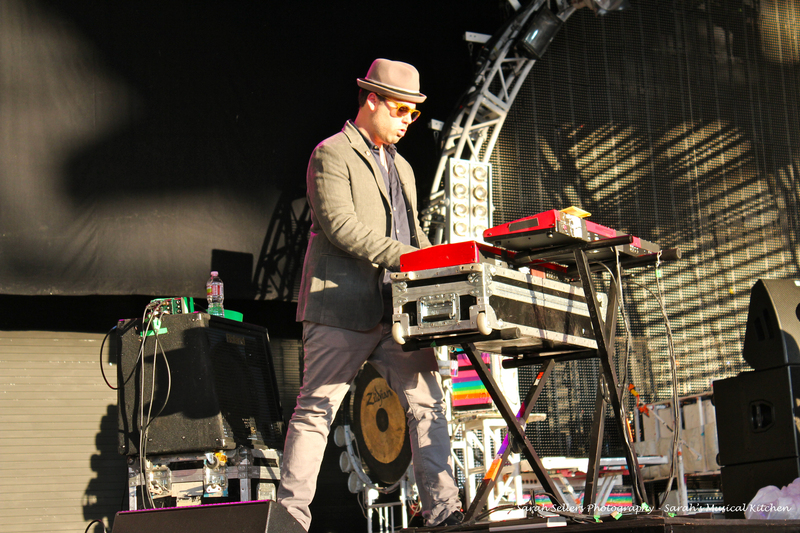 Two stages, 9 bands and a few food trucks turned the Gexa Energy Pavilion into a mini festival. Thanks to the fabulous peeps here at GoodBAMMSho not only was I on hand to soak in all the tunes, but I had the incredible opportunity to play photog for a night in the press pit! 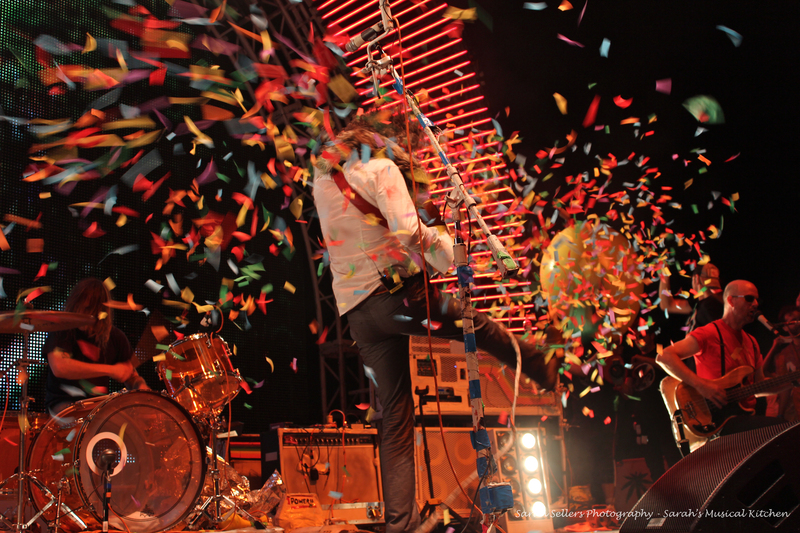 Playing on the main stage were Telegraph Canyon, Clap Your Hands Say Yeah, Fitz & The Tantrums, St. Vincent, and headliners The Flaming Lips. A small area by the concessions was carved out for Walk Off The Earth, Quiet Corral, Smile Smile and Air Review on the second stage. The ode to summer bash started with a sparse crowd that was as unique as the night’s lineup. 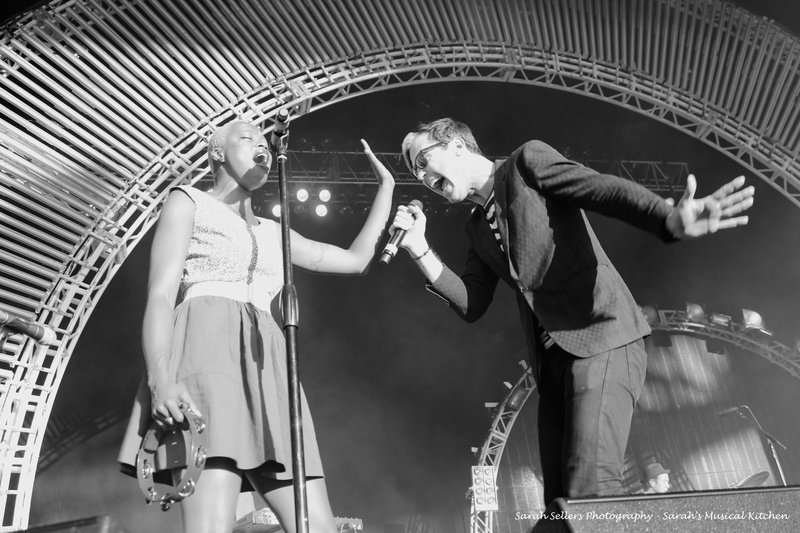 To get the night going I headed to the press pit in all my Canon Rebel glory to check out Fitz & The Tantrums. This energetic group of 6 come out in full force, dressed to impress and ready to get the crowd moving. Immediately you could sense the electric chemistry between front man Fitz and co-vocalist, Noelle Scaggs. Despite the Texas heat Scaggs tirelessly worked the crowd, tambourine in hand, track after track. Playing songs off their debut album, Pickin’ up the Pieces, the Tantrums found a way to blend the old school styling of Motown and modern day soul, against playful dance beats meshing perfectly with Fitz and Scaggs’ chemistry. 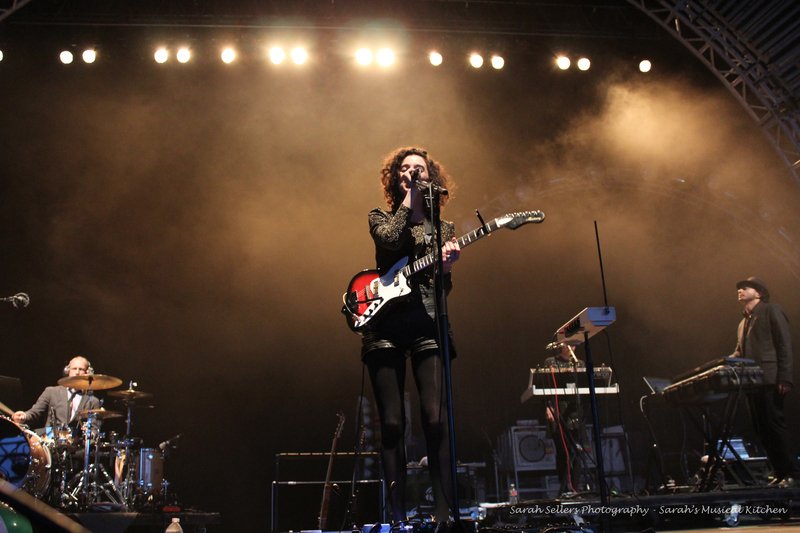 The highlight of the night was seeing Indie darlings St. Vincent for the first time. Shamefully I’m a little late to the game when it comes to the Texas native. 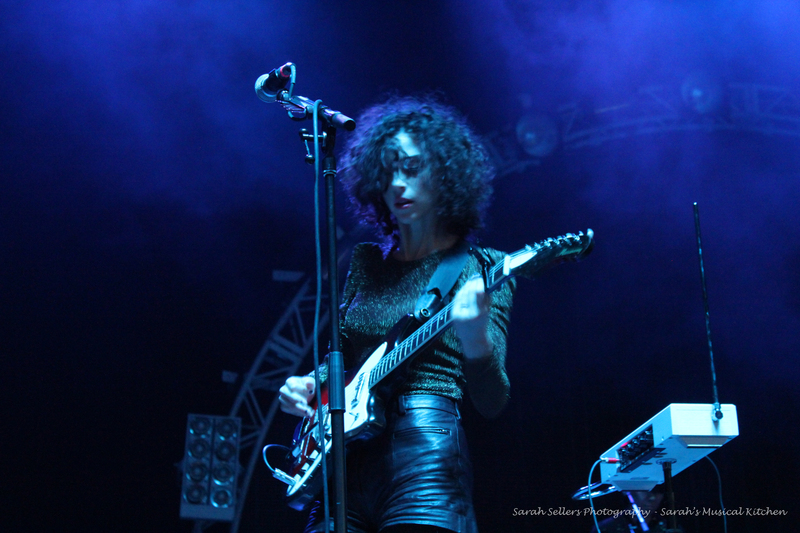 Only hearing a few tracks off their latest release Strange Mercy before the show, I was completely mesmerized by front woman Annie Clark. Minus a few technical hiccups the four piece group filled the simplified stage beautifully with Annie’s subtle vocals and electrifying guitar riffs.This chick can seriously rock out with the best of them. Her guitar skills blew me away. If her quirky back shuffle didn’t instantly win you over then it was her leap into the crowd, microphone in hand, for an entire song of crowd surfing. 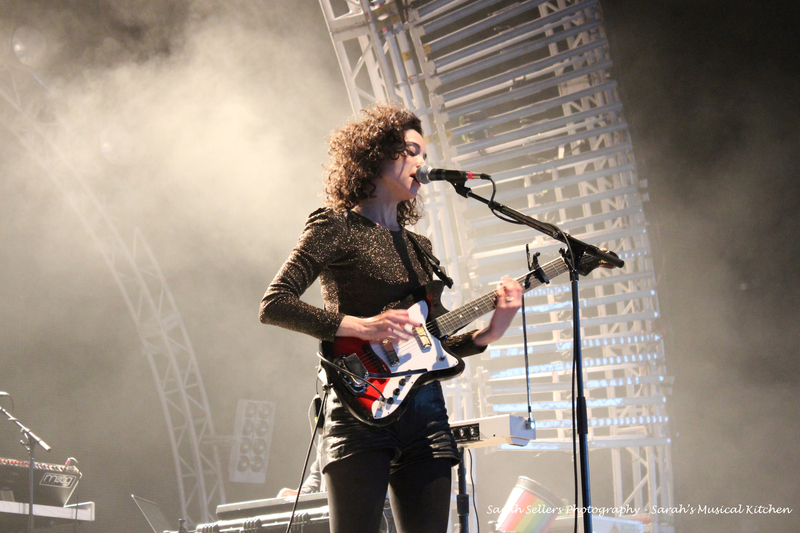 From their most popular tunes, Cruel and Cheerleader, to the cover of She is Beyond Good and Evil from the British punk group, The Pop Group, St. Vincent was the perfect appetizer to the night’s headlining act. 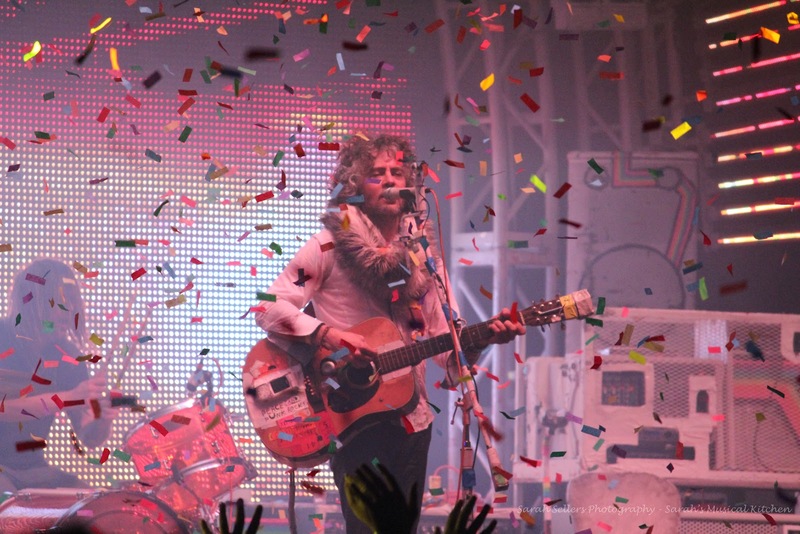 Originally from Norman, Oklahoma I’ve heard of The Flaming Lips most my life, but I haven’t had the pleasure of seeing them live until now. I’ve heard from countless people that they are a must see live, but what I wasn’t ready for was the sheer madness that was about to explode on stage. 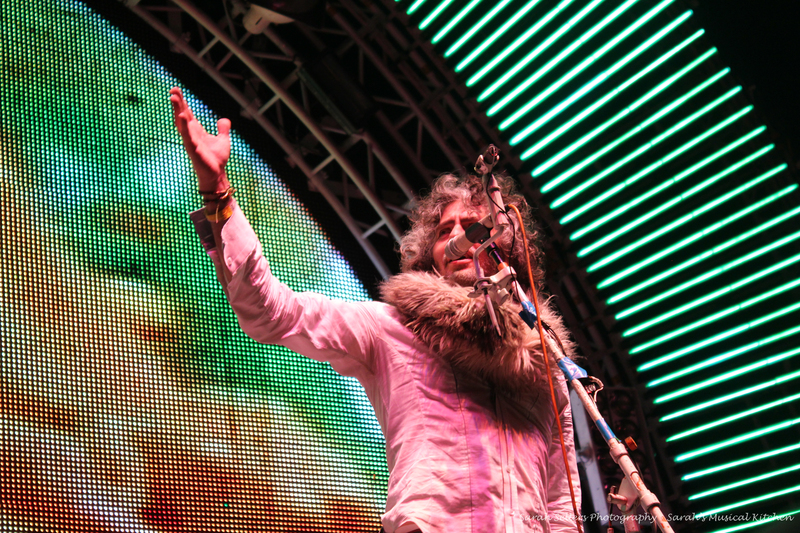 Unlike a typical rock star waiting to make a big entrance, frontman Wayne Coyne was front and center almost the entire time the stage was being set for the show. Helping with the setup, giving the audience safety tips and even posing for some self-portraits against the swarm of people, Wayne’s love of the stage is infectious. 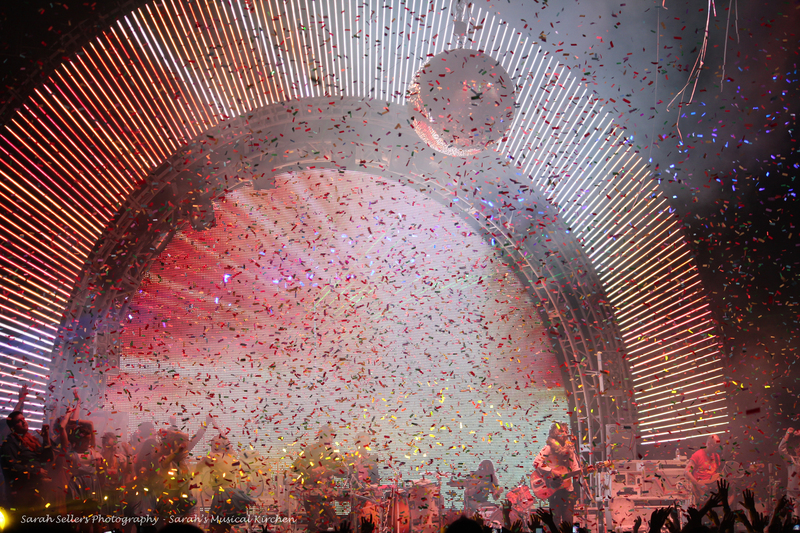 The lights dimmed and the video monitor displayed a rainbow of color that would serve as the grand entrance of the band, that is everyone except Coyne himself. 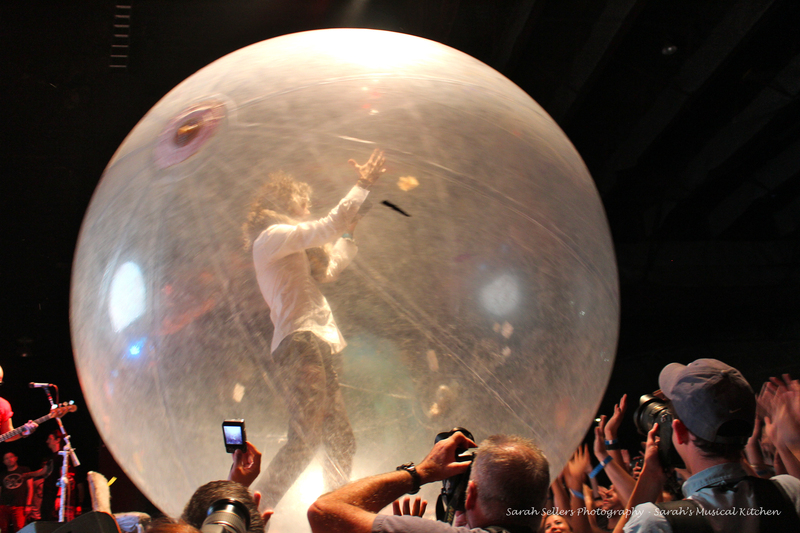 It wouldn’t be a Flaming Lips show if Wayne didn’t make his debut in a giant inflated bubble. 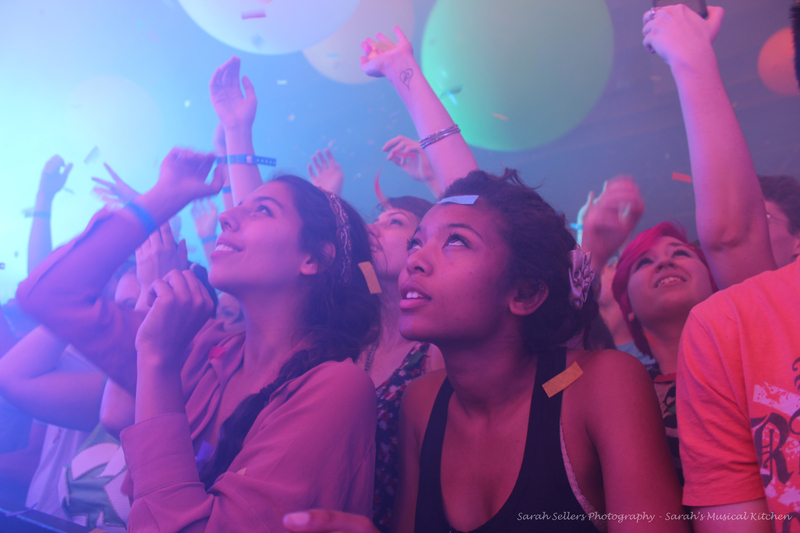 Confetti fell, giant balloons ascended upon the crowd, colorful smoke exploded in the air and a mob of gitty school girls filled the stage. I fought the smoke and debris for pics but not before becoming completely entrenched in the psychedelic atmosphere that only the Lips could create. Despite a smaller then usual crowd for so many acts, overall, the first annual Summer Cut Fest was a fun way for KXT to celebrate three years on the air. Check out more reviews and concert updates at GoodBAMMSho!